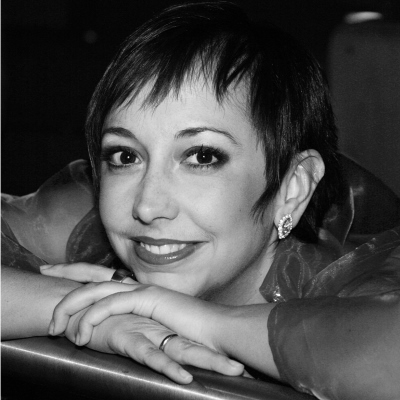 Renée Morloc completed her vocal studies at Stuttgart Music College and the Mozarteum in Salzburg. She gave her opera debut as Erda in Wagner’s ›Siegfried‹ at the National Theatre in Mannheim. Between 1992 and 1996 she was at Hanover State Opera. 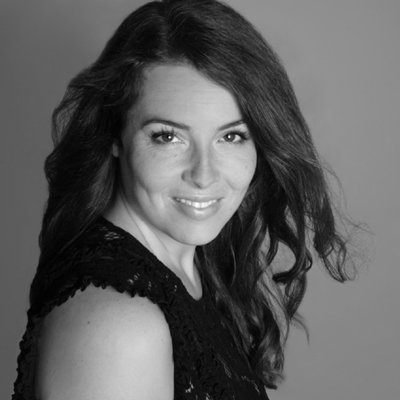 She is currently a member of the ensemble of the Deutsche Oper am Rhein in Düsseldorf, where her repertoire includes roles such as Fricka in Wagner’s ›Ring‹, Herodias in ›Salome‹, Ms. Quickly in ›Falstaff‹ and Genevieve in ›Pelleas and Melisande‹. It was chiefly in the role of the nurse in Richard Strauss’ ›Die Frau ohne Schatten› and as Klytämnestra in ›Elektra‹ that she has enjoyed her greatest successes not only in Düsseldorf, but also as a guest soloist in Stuttgart, Leipzig, Frankfurt, at the May Festival in Wiesbaden and in Canania, Sicily. Morloc has also appeared at opera houses in Berlin, Helsinki, Munich, Dresden, Hamburg, Berne, Prague, Tel Aviv, Valencia, Tokyo and Brussels. In 2007 she made her debut at the Salzburg Festival as Larina in ›Eugene Onegin‹, returning there in 2012 as Stolzius’ mother in ›Die Soldaten‹ – a role which she has also sung at La Scala Milan. 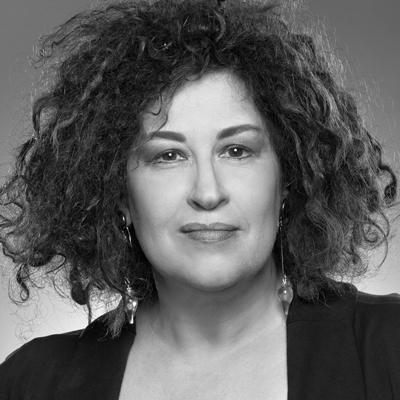 She is currently performing a number of roles ‘at home’ in Düsseldorf, including Fricka, Erda and First Norn in Wagner’s The Ring of the Nibelung, and also as Gertrude in Humperdinck’s ›Hansel and Gretel‹. Morloc’s concert repertoire is also very extensive and includes Bach’s Oratorio Works, Handel, Monteverdi and Dvorak, as well as Mahler’s entire symphonic work and the Requiem Masses by Ligeti and Verdi. 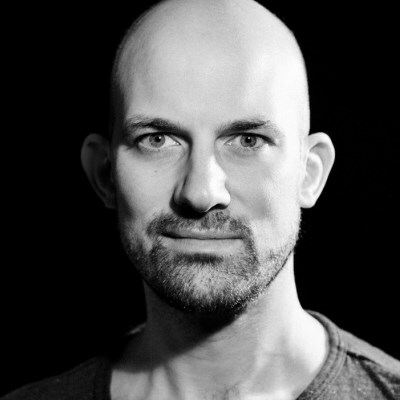 Thomas E Bauer is one of the most fascinating contemporary vocal artists. He is most enthusiastically celebrated for the »virile power«, the »baritone beauty of sound« and »precise diction« of his expressive voice (Opera Glass). Most recently he has performed Beethoven’s song cycle ›An die Ferne Geliebte‹ with Simone Young and the MDR Symphony Orchestra at the Beethoven Festival in Bonn, Jörg Widmann’s orchestral song cycle ›The Hot Heart‹ with the City of Birmingham Symphony Orchestra, Beethoven’s 9th Symphony with Giovanni Antonini (now at SONY Classical) and the Basel Chamber Orchestra, Mahler’s orchestral songs with Yu Long, Jukka Pekka Saraste and Shao-Chia Lu and the Shanghai Symphony Orchestra, plus a number of Bach’s Cantatas with Kent Nagano and the Philharmonic State Orchestra Hamburg. The current season’s highlights include the premiere of the Benjamin Symphony by Peter Ruzicka, performed by the Frankfurt Radio Symphony Orchestra and conducted by the composer. Thomas E Bauer was Artist-in-Residence of the Brussels Bozar and has performed with Bernard Haitink and the Boston Symphony Orchestra, with Nikolaus Harnoncourt and Concentus Musicus, with Zubin Mehta and the Filarmonica della Scala, with Herbert Blomstedt and the Gewandhaus Orchestra Leipzig and with Riccardo Chailly and the Tonhalle Orchestra Zurich. Recently at the Salzburg Festival he has performed in Schubert’s Lazarus with Ingo Mezmacher conducting, as well as in Schoenberg’s Jacob’s Ladder at the Berlin Philharmonie. Thomas E Bauer sang the world premiere of Jörg Widmann’s Oratorio ›ARCHE‹ with Kent Nagano conducting as part of the Elbphilharmonie’s opening concert (released on CD by ECM in 2018). On the operatic stage he recently sang in Zimmermann’s Die Soldaten, to great acclaim. He has also been involved in several opera premieres. Thomas E Bauer is founder of the award-winning concert hall Blaibach. He received his first musical education at the Regensburger Domspatzen and later took vocal studies at Munich College of Music and Drama. Born in Bielefeld, the soprano Anna-Sophie Brosig is considered as multi-faceted as she is versatile. With her lyrical style, this sought after soloist is as much at home in opera as she is in Lieder. She completed her Master’s degree with Susan Anthony and Caroline Thomas at the Detmold College of Music, where in 2016, she graduated with honours in Opera. She then went on to take further masterclasses in in Chanson with Götz Alsmann. Brosig’s repertoire includes ›Lobgesang‹ by Felix Mendelssohn-Bartholdy, Brahms’ ›A German Requiem‹ as well as a number of diverse masses by Mozart. She has been accompanied by members of Amsterdam’s Royal Concertgebouw Orchestra, the NDR Radio Symphony Orchestra Hannover and the Lower Saxony State Orchestra. In addition to her nationwide performances, she has also performed solo recitals in Italy, Sweden, Greece, Montenegro and the Netherlands. Anna-Sophie Brosig also sings with a number of ensembles. She is a member of the Chamber Choir Stuttgart, directed by Frieder Bernius, where she regularly takes on the solo roles. Anna-Sophie has taken part in numerous tours across Europe as well as in China, Taiwan, Canada, Israel and the USA. 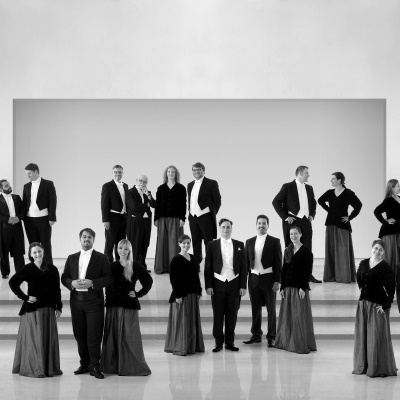 The Kammerchor Stuttgart counts as one of the best ensembles of its kind. In the 50 years since its inception, its founder and conductor Frieder Bernius has shaped the choir into something exceptional, celebrated by both the media and the public. The choir’s repertoire ranges from the 17th to the 21st century. »No superlative is wasted on praising this choir« newspaper ›Zeit‹ about this outstanding vocal ensemble. The vocal brilliance is almost unrivalled – a perfect purity of intonation and an unsurpassable vividness in textual diction. Not surprising, then, that the ensemble invitations to perform at all the important European festivals and has performed in countless renowned concert halls. On the occasion of the 1st, 4th and 10th World Symposium for Choral Music, the Stuttgart choir was invited to Vienna, Sydney and Seoul. Its worldwide history also shows regular North American and Asian tours since 1988, as well as a tour of South America. This top ensemble has also been making guest appearances in Israel every two years since 1984. Of its 90 plus CD recordings – including those made with The Deutsche Kammer­philharmonie Bremen – over 40 have been awarded prizes. For example, in 2017 the Kammerchor was awarded the German Record Critics Prize for its Mendelssohn CD ›Lieder Im Freien Zu Singen‹. In 1968 Frieder Bernius laid the foundation stone for his extraordinary career with the founding of the Kammerchor Stuttgart – to this day one of the leading ensembles of its kind. He also directs the Stuttgart Baroque Orchestra and the Hofkapelle Stuttgart, a special ensemble dedicated to performing music from the early 19th century. The Stuttgart Classical Philharmonic, which plays works from the 19th to the 21st century on modern instruments, also enjoys his direction. Whether vocal works by Bach, dramatic music by Mendelssohn or symphonies by Haydn, Bernius constantly strives to combine his unmistakeably personal tone with an original sound-ideal. He is equally dedicated to rediscovering operas of the 18th century as to the premieres of contemporary compositions. Frieder Bernius’ stylistic versatility is widely recognised across the globe. This Mannheim Music Academy Honorary Professor has led concert tours to all the important international festivals. In 1987 he founded the Stuttgart International Festival for Ancient Music (known since 2004 as the Festival Stuttgart Baroque), which, in a single stroke, made the city a centre for historically informed performance practice. In addition, Bernius has so far made around 100 recordings which have been awarded 40 international prizes. For the 2009 Felix Mendelssohn year, he was able to complete his twelve-part recording of the composer’s spiritual vocal works in their entirety. 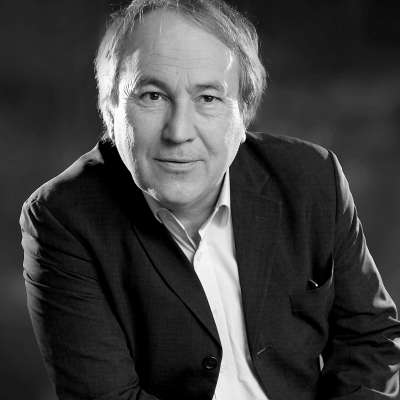 In addition to many other honours, Frieder Bernius has been awarded the Federal Cross of Merit Ribbon for his services to German musical life. 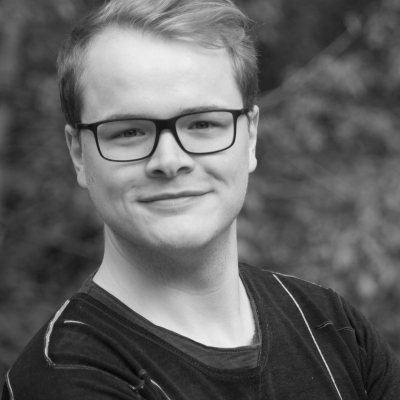 Since the 2017/18 season, David Fischer has been a permanent member of the Bonn Opera Solo Ensemble. He also performs regularly at the Leipzig Opera. Right in his first season at the Bonn Opera House he took the lead role of John Whitcroft in the premiere of James Reynolds’ opera ›Ghost Knights‹ which will also be taking him in 2019 to the Deutsche Oper on the Rhein in Düsseldorf. He has appeared in Bonn as Revd Horace Adams in Britten’s ›Peter Grimes‹ with José Cura conducting, as Remendado in Bizet’s ›Carmen‹ and also as Pang in Puccini’s ›Turandot‹. As part of the 48th Berlin Philharmonic Easter Festival David Fischer made his opera debut in 2015 at the Theatre Baden-Baden as Trémoloni in Offenbach’s comic opera ›La Princesse de Trébizonde‹. The following year he travelled with the Bonn Opera Ensemble to Daegu, Korea where he performed the role of Jaquino in Beethoven’s ›Fidelio‹. A busy concert diary takes this tenor, who studied in Freiburg with Reginaldo Pinheiro and took masterclasses with Brigitte Fassbaender, to many of Europe’s concert stages. 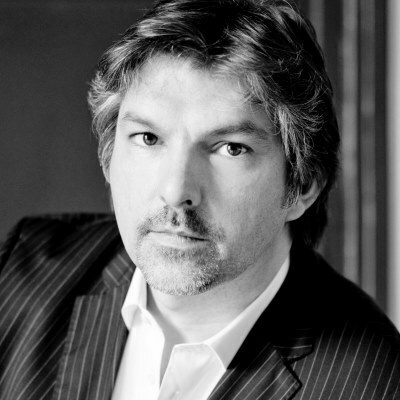 He has sung Bach’s St John Passion in Hanover’s main broadcasting hall with Chief Conductor Andrew Manze and the NDR Choir and Radio Orchestra Hanover and has performed a song recital at the Swiss Festival Classique des Haudères together with pianist Pauliina Tukiainen. Further joint recitals with the Finnish pianist have taken Fischer to Geneva and the Schumann Festival Bonn. In 2016 David Fischer won the prestigious international Concours de Genève. David Jerusalem was born in Munich. In 2010, he completed his vocal studies at the Nuremberg College of Music with top marks. This was followed in 2013 by his concert exam at the Robert Schumann College in Düsseldorf. Masterclasses with Brigitte Fassbaender, Dame Felicity Lott and Edith Wiens completed his training. Between 2006 and 2009, he sang numerous roles in the Munich Chamber Opera and the Prince Regent Theatre Munich, as well as giving concerts in the Meistersinger Halle Nuremberg and the Philharmonie at Munich’s Gasteig. In 2011, he appeared as a guest soloist at the Tyrolean Festival in Erl as well as Elmiro in Rossini’s ›Otello‹ at the South Tyrol Festival. He also made several appearances in Baden Baden, for example with Christian Thielemann and the Staatskapelle Dresden, and as a harpist in The Magic Flute with Sir Simon Rattle and the Berlin Philharmonic. In 2012, David Jerusalem gave his Schleswig Holstein Festival debut as Timur in Puccini’s ›Turandot‹ with the NDR Radio Philharmonie. Since the 2012/13 season, he has been engaged as an ensemble member with the Deutsche Oper am Rhein, where he has sung the roles of Figaro in Mozart’s ›The Marriage of Figaro‹ and Donner in Wagner’s ›Rheingold‹. On the international stage, too, this bass baritone has been heard at the Teatro Monumental in Madrid for example, and in Bach’s ›St Matthew Passion‹ with Michael Hofstetter and the Noord Nederlands Orchestra on their Holland tour. Jerusalem’s debut solo CD with ballads by Schubert and Loewe was nominated for the ICMA 2018 best vocal album.